SAVAGE from UK hailing to Cyprus, for the Power of the Night XII festival 2017! 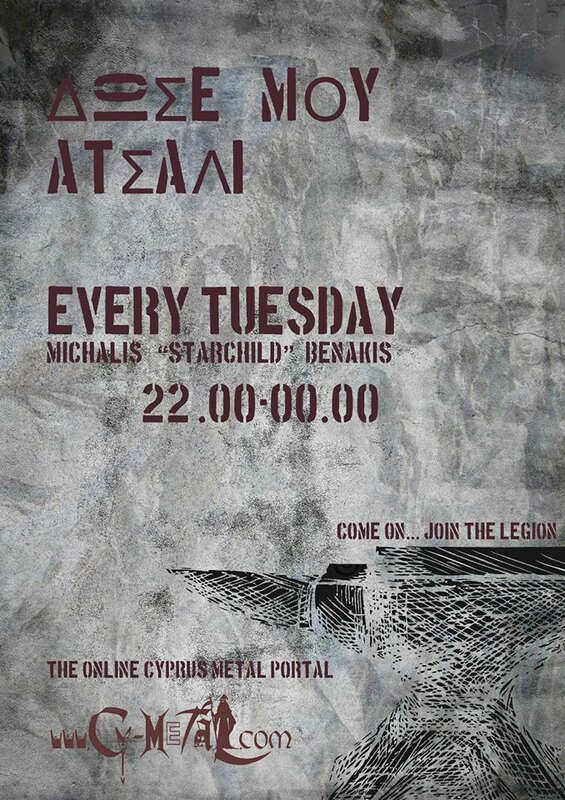 The legends of NWOBHM, for the first time in Cyprus!! Hailing from the heart of the UK, Savage where born out of the need for a bunch of teenagers to put their own stamp on the hard rock scene. At just 18 and 15 years of age respectively, founder members Chris Bradley and Andy Dawson first set alight to the Nottinghamshire music scene by rampaging through covers of their heroes such as Thin Lizzy, UFO, Deep Purple and Van Halen. But the band weren’t dragging their heels when it came to penning original tunes and were soon wowing local audiences with a blend of energetic new metal. As a result they were invited to participate in 1981’s seminal compilation album ‘Scene Of The Crime’, contributing two barnstorming tracks ‘Let It Loose’ and ‘Dirty Money’ which would both go on to become stage favourites as the band’s star rose. It was clear the band were head and shoulders above the rest of the crowd. A copy of ‘Scene Of The Crime’ ended up in the hands of Lars Ulrich and before long the newly-formed Metallica were playing Savage tracks themselves, famously recording ‘Let It Loose’ which set them on the road to creating their brand of thrash metal and securing their first deal. At around the same time, Savage were offered their first deal. The band’s double A-Side single ‘Ain’t No Fit Place’ c/w ‘The China Run’ had been released to strong reviews, and in 1983 Savage released their legendary debut album ‘LOOSE ‘N’ LETHAL’ which not only received rave reviews but was soon acclaimed as the best-selling metal import album in America. By now Savage were gigging across the UK although focussing their efforts especially on London where Kerrang favourably reviewed a number of their gigs. In 1984 the band went to Europe and shared the bill with Metallica and Venom, at the now legendary ‘Aardschok Day’ playing to 10,000 people and again receiving outstanding reviews. Metallica knocked at the dressing room door and asked to share a beer with the Savage boys; the bands would later meet again in London where more beer drinking ensued, this time for a Kerrang! article on real ale! In 1985 Savage released their second album ‘HYPERACTIVE’. The album received a full 5K review in Kerrang! followed by a UK tour with a homecoming sold out show at the Mansfield Civic Theatre, outside of which many years earlier Bradley and Dawson had first met giving birth to Savage. But despite the success of the first two albums and live shows, the lack of support from both labels and management caused much frustration and resulted in the band finally folding in 1986. Bradley and Dawson continued to make music separately for the next few years until due to demand the band reformed with original drummer Dave Lindley to record the comeback album ‘HOLY WARS’ in 1995. The album sold well across the UK, Europe and Japan and the guys played a cracking set at Germany’s Heavy Oder Was festival. Maintaining the momentum they recorded their fourth studio album ‘BABYLON’ which demonstrated Savage’s ability to craft powerful, punchy classic rock, with Bradley’s almost sneering vocals and thundering bass counterpointing Dawson’s outright riffing and searing solos, showing that British rock bands can have attitude, grit and punch! The new millennium brought ‘XTREME MACHINE’, an album full of mean, grooving rock which brought new fans to the band and was followed a year later with more live shows, the band hitting America for the first time with new boy Mark Nelson on drums before performing a stunning show at Wacken. Joined again by drummer Mark Nelson and new guitarist Kristian Bradley – yes! Chris’s son and Andy’s Nephew – the band spent 2011 preparing songs for ‘SONS OF MALICE’. Released April 2012 ‘SONS OF MALICE’ once again showed the band were in touch with the contemporary metal scene without losing sight of their traditional British roots, an aspect recognised by the significant number of positive reviews the album received worldwide. Shows throughout Europe proved the band had not lost any of their bite live! In fact new boys Mark Nelson and Kristian Bradley have given the band a new energy wholly apparent from barnstorming sets at Hard Rock Hell VI, CRF 13 and a legendary performance of the entire ‘LOOSE ‘N’ LETHAL’ album in reverse at the Headbangers Open Air Festival 2013. In a neat twist High Roller records issued a collectable vinyl version of ‘SONS OF MALICE’ that included bonus tracks from the album recording sessions. 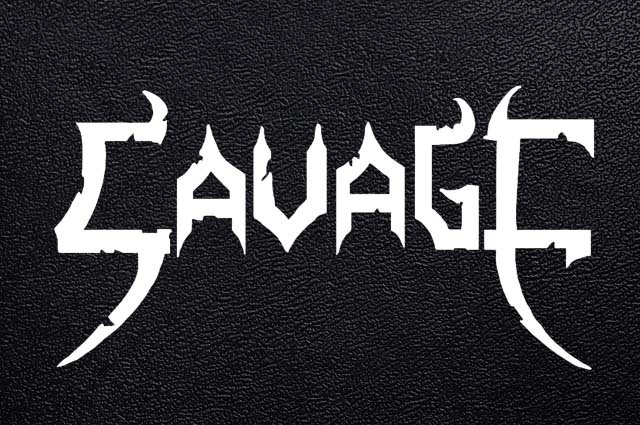 Savage’s next release, a double CD, followed in October 2015. ‘7’ / ‘LIVE ‘N’ LETHAL’ double-packed a brand new twelve-track fifty-minute studio album (the band’s seventh; the clue’s in the title!) with a live disc recorded on home turf the previous year. As with their recent gigs the live disc presented Savage’s debut album ‘LOOSE ‘N’ LETHAL’ in reverse order, topped and tailed with a couple of cuts from ‘SONS OF MALICE’ (‘The Rage Within’ and ‘Black ‘N’ Blue’), ‘XTREME MACHINE’’s ‘Smiling Assassin’ and crowd-pleaser ‘We Got The Edge’. 2017 sees the band in fine shape. ‘LOOSE ‘N’ LETHAL’ – which has languished in the vaults for far too long – has been rescued by Hammerheart Records and will be made available once more both on vinyl and CD with bonus tracks; and the band are back writing once more with a view to releasing an EP later in the year.